Our web of programming is built to spread the knowledge, keep costs down, and give us all opportunities to share the love we have for our neighbors and planet. We hope you will join us as we Build Community through Herbalism! 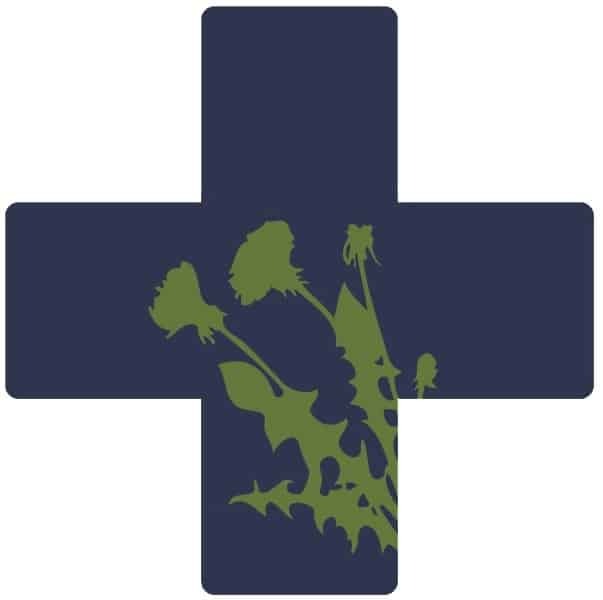 Herbalista Free Clinic – offering earth-based care in the Atlanta area to underserved populations via the Herb Bus, the Herb Cart, and most recently, the Dublin Herb Bike in Ireland. Harriet Tubman Foot Care Clinic at Mercy Community Church – providing care to our friends on the street. Herbalista Community Health Fair – bringing together local practitioners and health educators for this monthly free public offering. Self Care Stations – these mini-health stations (set up at community centers, occupations, and the like) empower their users and offer folks a chance to care for themselves with herbs and vitamins. First Aid Stations – collaborative care first aid stations offered at gatherings and festivals. Herbalista Toolkit – a membership resource loaded with the tools to help you start your own community based project in your neck of the woods! 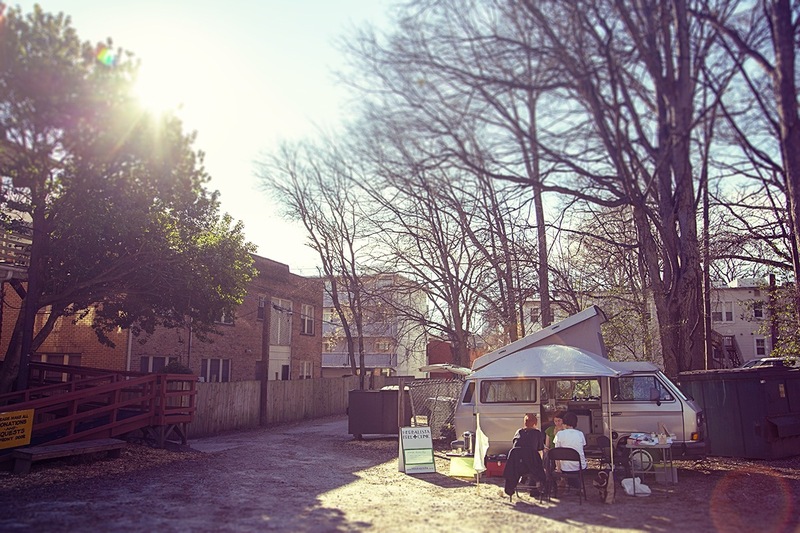 The Herbalista Free Clinic started serving Atlanta in February of 2013 from a VW bus. 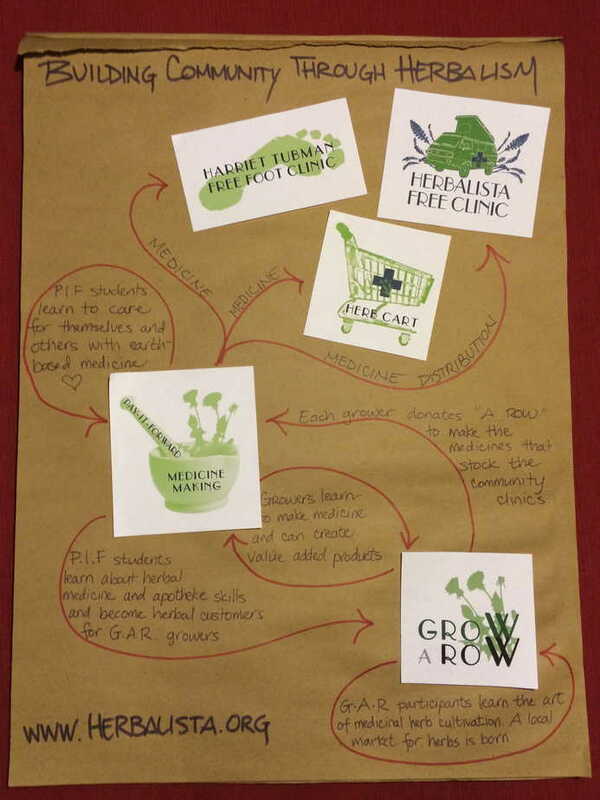 Nicknamed the Herb Bus, we had a vision of providing mobile herbal health care to under-served communities. We wanted to be a service folks could rely on and so set up regular monthly stops at set stations. We offered free clinical care, a spot of tea, and herbal education. Our programming and services have grown and evolved these past several years in response to both the needs of our communities and the desire for better integration and sustainability. Our mobile fleet has grown to include two Herb Carts and now the Dublin Herb Bike in Ireland. Herbalista Free Clinics have a focus on serving the homeless and other vulnerable populations, we recognize that under the current structure of healthcare in the U.S., we are all underserved. So long as our medical and governmental structure prioritizes pharmaceutical medicine and surgical intervention, the people are being denied their right to health. Herb and food based tonic therapy have been a necessary part of our evolution and survival as a species. Access to health care is a human right and our mission is to defend this basic right by nurturing the health of the people who live across this broad and beautiful land. The Herbalista Health Networks welcomes students, volunteers, patients, clients, guests, and friends of any race, color, national or ethnic origin, religion, economic strata, ability, sexuality, gender-orientation to join us! We believe in diversity, not discrimination! While this project is a most certainly a labor of love, community support is vital to making our work a sustainable endeavor. Thanks to everyone who has supported this project herbally, inspirationally, creatively, organizationally, economically, logistically, and all the rest of it too!! We thank our fiscal sponsor MPowerNow. All donations to the Herbalista Free Clinic are tax deductible. If you are interested in supporting the bus, please click here.